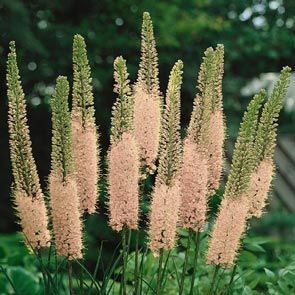 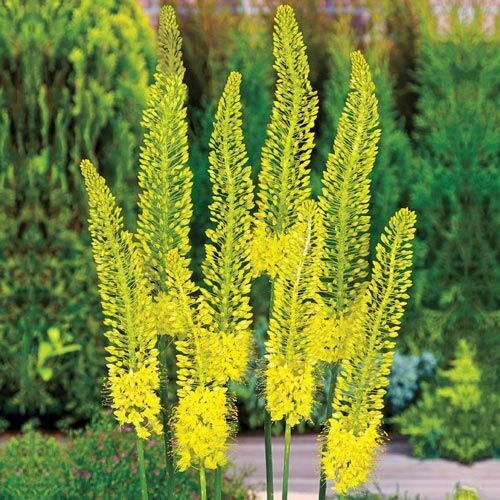 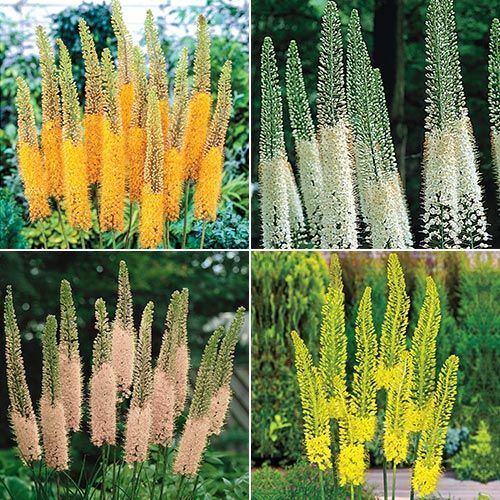 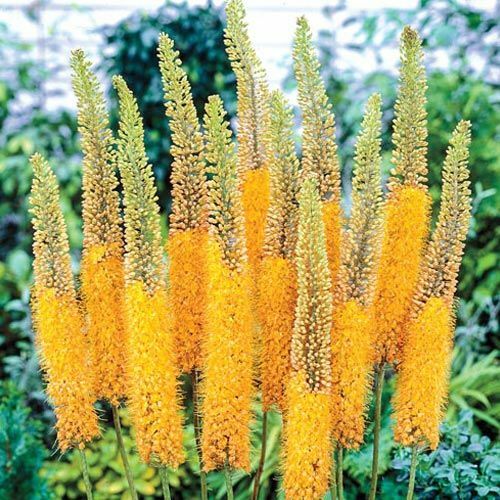 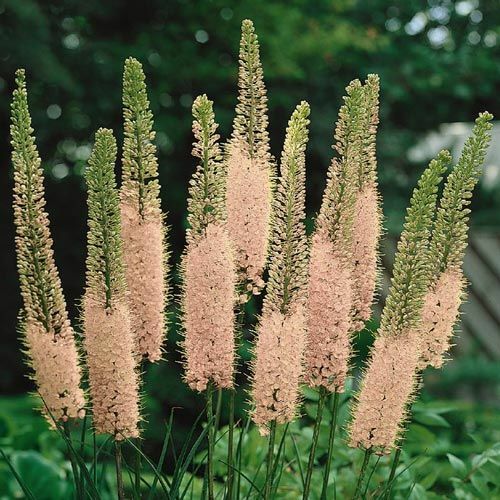 Easy for pollinators and people to spot, few plants steal the show quite like foxtail lilies. 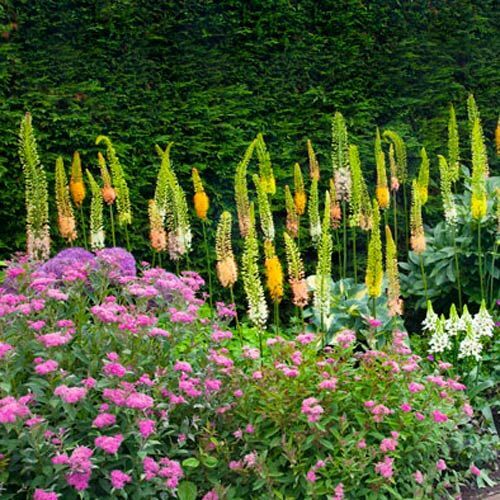 Their extra-long stems produce 3', tapered flower spikes that bloom from the bottom up and sway high above attractive, straplike foliage. 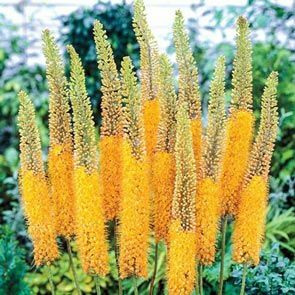 Also called desert candles, these majestic beauties thrive in dry, sunny locations and will last for weeks in cut arrangements! 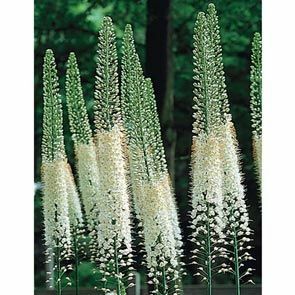 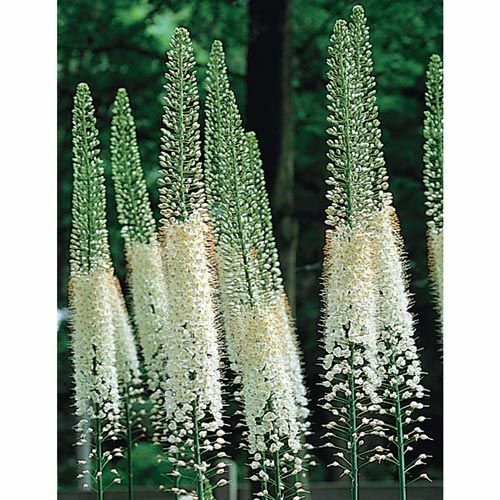 Foxtail Lilies Give and Give, but Ask for Little in Return! • Uncommon beauties reach impressive heights of 4-5 ft.
• Extremely drought tolerant and so easy to grow. 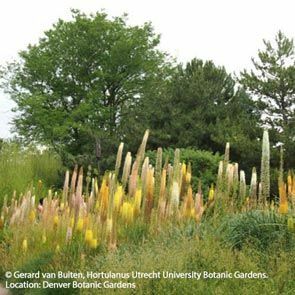 • A great nectar source for bees, butterflies and hummingbirds in early summer.